Having dreams of Rio? 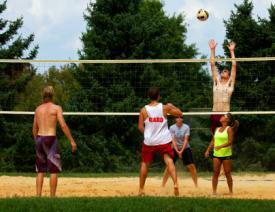 Athletes of all ages will enjoy a long weekend in Howard County, Maryland. There are outdoor attractions and athletic facilities that will have you feeling positively Olympian, no passport required. 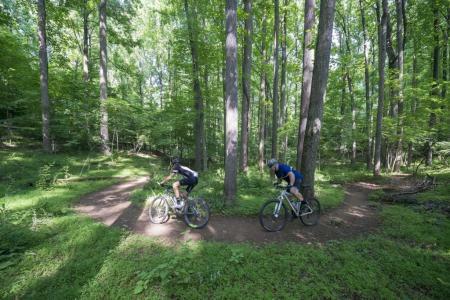 If you prefer to take things off-road, Patapsco Valley State Park offers some of the best mountain biking in the region. Train like a triathlete. 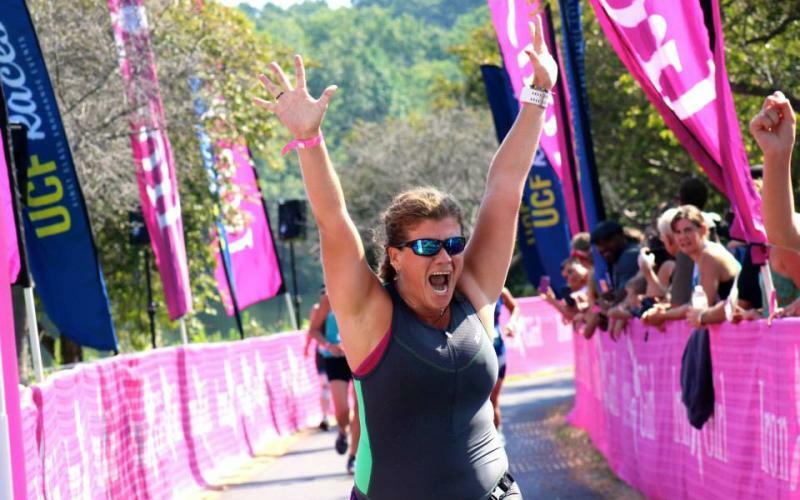 Howard County is home to the Columbia Triathlon and Irongirl Columbia Triathlon (coming up on August 7.) Centennial Park and the surrounding region offer water and routes for running and cycling. If you&apos;d prefer a pool, there are a number of facilities that can oblige. 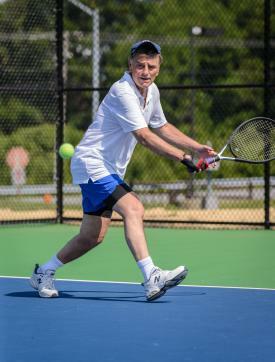 Work on your tennis serve, there are no shortage of courts in Howard County. Enjoy a round of 18 at one of 7 area golf courses. Who knew trampoline was an Olympic sport? Try it out for yourself at Skyzone Columbia. Aim true, the Alpha Ridge Archery Range is open for drop ins on the weekend. Beach schmeach, there are a plethora of lakes in Howard County and even a few sandy outdoor volleyball courts where you can work on your spike. If you&apos;ve ever wanted to give zip lining a try, Terrapin Adventures or The Adventure Park at Sandy Spring can satisfy your need to soar through trees. Post-training, there&apos;s plenty to explore. No Olympic experience would be complete without a little sight seeing. Whether you choose to drive, uber or take public transportation you can easily move around the region and see everything from the Inner Harbor in downtown Baltimore to the Smithsonian Museums in Washington D.C.
You&apos;ll probably be in need of some relaxation and rejuvenation after all that athletic fun and Howard County is the perfect oasis to return to. Check out Haven on the Lake, the Spa at Turf Valley and other spas and wellness centers. Any good athlete knows that recuperation is an important part of training. When it&apos;s time to refuel, head to any of these local restaurants. These are great spots for watching sports so you&apos;ll be able to cheer on your favorite country while you dine. Only 20 minutes from Baltimore and less than an hour from DC, Howard County is the best location to start when visiting the capital region. Even better our hotel rooms won&apos;t cost you an arm and leg and the parking is free! Rest your head after your adventures at one of our upscale hotels or cozy B&Bs. Photo credits from top of page: (runner) Iron Girl Columbia, (volleyball) Kirsten Messmer, (tennis) Howard County Recreation & Parks, (biking) Clark Vandergrift OTD and (relaxing) Turf Valley Resort.